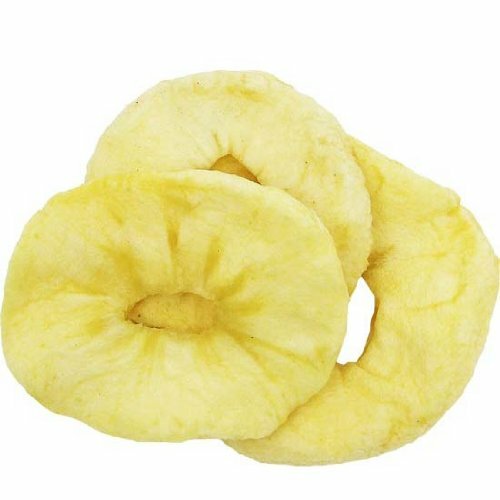 Dried Apple Slices from Bella Viva Orchards. Exactly how we make our dried apples so moist and chewy is a family secret. The apple is an excellent source of dietary fiber, providing you with nearly 20% of your needs for the day. So grab a few bags of this healthy snack, step out of the house and smell the sunshine! Contains sulfur dioxide. Sun-dried to meaty plump perfection. Delicious apple flavor. Easy to snack on. High performance human fuel, and a perfect high-energy snack for home and office.